We have received great interest from citizens of Chile for the special visa opportunities available for nationals of this country. Our Latin American team works closely with our Chilean clientele to either establish new businesses in the United States or take advantage of the special visa for Chilean professionals. Chileans are uniquely positioned to explore business opportunities because Chileans can now travel to the U.S. without a visa. 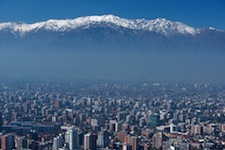 Click here for information on Chilean participation in the U.S. Visa Waiver Program. Can Chilean nationals obtain a visa to open a business in the United States? Yes. 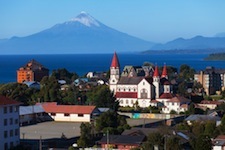 Both E-1 and E-2 visas are currently available to Chilean nationals. While E visas are non-immigrant visas, they can entail significantly less investment than an EB5-based green card application. In addition, E visas do not have the requirement that L visas have for the continued operation of a qualifying business outside the United States. E-1 and E-2 visa application packages are submitted to the Consular Section of the U.S. Consulate in Santiago at the time of the applicant’s scheduled interview. By working with Davies & Associates, we can ensure that your visa application complies with the E-visa program generally and the unique application requirements of the Santiago Consular office. Click here for more information about E-1 Treaty Trader Visas. Click here for more information about E-2 Treaty Investor Visas. What are other options are available for Chileans to start a business in the United States? Chileans that already own or work for a company in Chile and have worked at the company for more than one year may be able to obtain an L-1 non-immigrant visa by opening an office or new business in the United States. An L-1 visa may later open an opportunity to apply for lawful permanent residency in the United States. Investors who are able to make a minimum investment of $500,000.00 may be able to qualify for an EB-5 visa. We are experienced at assisting non-U.S. investors through the complicated EB-5 immigration procedures. While there are many issues that have to be addressed when applying for a visa, in our experience a common issue with many applicants is the ability to prove the source of the invested funds. We also empower potential EB-5 investors to evaluate and intelligently choose an EB-5 Regional Centers to work with. Regional Centers are organizations designated by U.S. Citizenship and Immigration Services (USCIS) as sponsors of capital investment projects for investments by EB-5 investors. Additional information on the EB5 visa process can be found by clicking here. What visa options are available for Chileans with college degrees or who work as professionals? Chileans are fortunate to have access to a special H-1B1 visa, which is similar to the H-1B visa that is generally available for professionals. The H-1B program allows individuals in occupations that require a bachelor’s degree to work in the United States for a number of years. 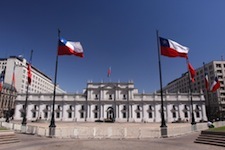 While the general H-1B visa program is subject to a cap, under special H-1B1 visa program established under a US-Chile Free Trade agreement, a subset of these visas are set aside for Chileans. 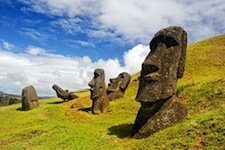 The annual maximum number of these visas is rarely met, which means that Chileans applying for the H-1B1 generally do not have to take their chances with the lottery system that nationals of other countries are subject to. Can my family join me in the United States on an Investment or Business visa? Different types of visas and the specific facts of your case determine whether your family members can join you in the United States and what activities they may undertake. The table below outlines the GENERAL position in relation to a trailing spouse but is NOT intended to provide specific legal advice. Why Should a Chilean National choose Davies & Associates as their US Immigration Lawyers? Understanding. For over fifteen years we have worked with nationals from a wide variety of countries and have found that many nations have unique needs and cultural issues that require creative solutions. Davies & Associates understands these issues and has experience developing strategies for success. Location. While much of your paperwork will need to be filed in the United States, some of it may need to be filed with your local consulate. Through our locations and affiliates around the world, we are ideally positioned to assist you. Excellence. Given our knowledge and understanding of our Latin American clientele, we are able to craft unique solutions narrowly tailored to meet your needs. We believe we can produce the very best immigration solutions available. Results. While there are never any guarantees, to-date no visa application that we have prepared has ever been denied.